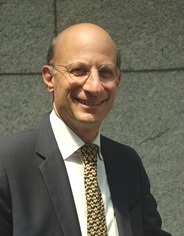 Owen E. Herrnstadt came to the IAM in 1987, serving as the Associate General Counsel. In 1996, he was named Director for the IAM’s Department of Trade and Globalization. In 2014 he was named as Chief of Staff to the International President. In addition to his many responsibilities as Chief of Staff to the IP, Herrnstadt represents IAM members’ interests in the growing global economy. He works closely with IAM District and Local Lodges to utilize the levers of global institutions and agreements and, of course, coordinates with our fellow unions in other countries. He serves as the North American representative to the International Transport Workers’ Federation Civil Aviation Section and on the Executive Committee of IndustriALL. He also serves on the Board of the International Labor Rights Forum and is a member of the Council on Foreign Relations. He is on the State Department’s Advisory Committee for International Economic Policy and the Federal Advisory Committee for the U.S. Export-Import Bank. He was named co-chair of the State Department’s Stakeholder Advisory Board on the OECD Multinational Guidelines. Herrnstadt has made presentations on numerous topics including corporate social responsibility, European Works Councils, working time, challenges of the global economy, U.S. labor law and international transportation matters. His latest articles, “Strengthening the Collective Bargaining Rights of Precarious Workers” and “Corporate Social Responsibility, International Framework Agreements and Changing Corporate Behavior in the Global Workplace”, were issued this summer in the International Journal of Labor Research and the American University’s Employment and Labor Law Forum.